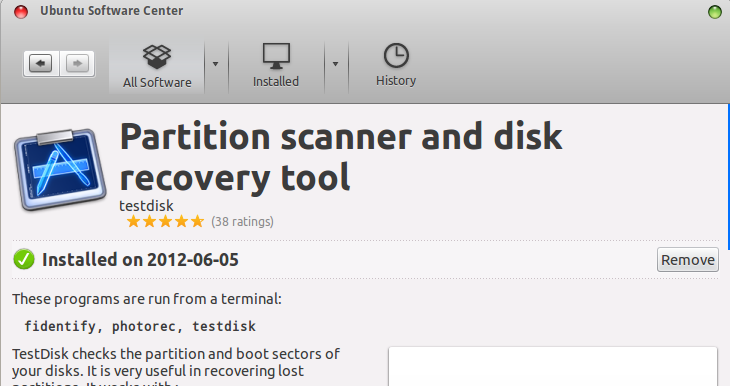 TestDisk is default avaiable in Ubuntu Software Center, just search and install it. For others, download from this page. testdisk ‘image.?? ?’ if the Encase image is split into several files. No user responded in " TestDisk – Recover Lost Partitions and Undelete Files in Ubuntu "